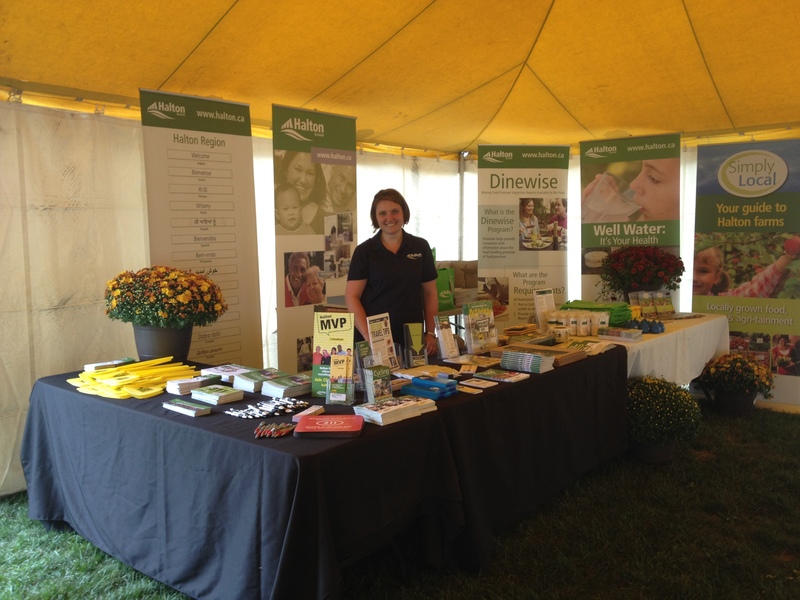 Recently, I had the pleasure of attending the Fall Fairs in Acton, Georgetown and Milton. The Fall Fairs provide a great opportunity for residents to come together and celebrate our agricultural traditions. 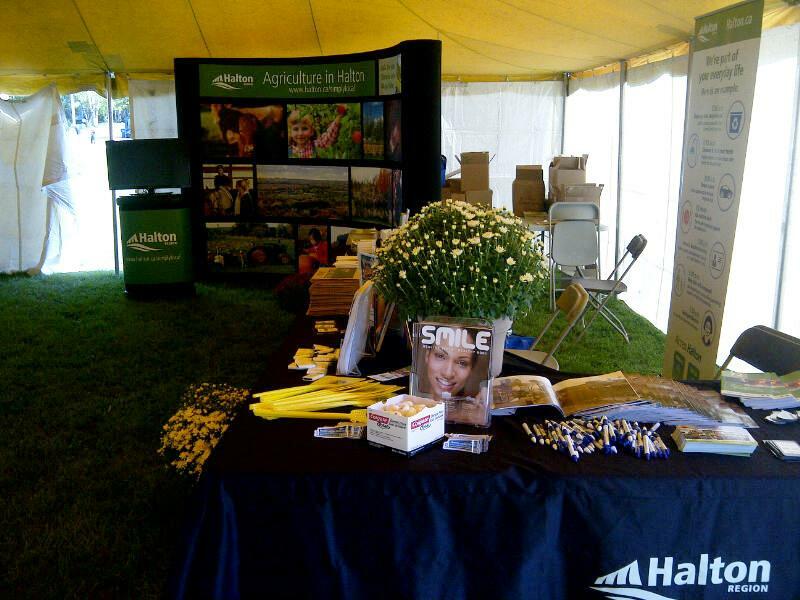 The Fairs also offer the chance for our younger generations and families new to this area to learn why agriculture is such as critical part of this community. It takes a great deal of planning and coordination to pull off events of this size so I would like recognize the Georgetown Agricultural Society, Acton Agricultural Society and the Halton Agricultural Society for once again bringing these events to our community. I hope you had a chance to stop by the Halton Region booth and pick up some information and speak with one of our Fall Fair ambassadors. This year, our booth featured Simply Local, your guide to finding all of the farm-fresh produce, nursery products and recreational activities that Halton farms have to offer. We also had copies of Halton’s Cycling Map, information about recycling and waste, air quality, well water testing, West Nile virus and more. If you missed us, you can always dial 311 or visit www.halton.ca to request a brochure or learn more. Through the Citizens’ Priorities Action Plan, Halton Region is committed to supporting and promoting our agricultural community. A healthy agriculture sector is vital to a healthy and sustainable Halton and this sector has great potential for sustainable growth over the next 10 years and beyond. This past September I had the pleasure of attending the 165th annual Georgetown Fall Fair (September 9 – 11), the 98th annual Acton Fall Fair (September 16 – 18) and the 158th annual Milton Fall Fair (September 23 – 25). Each event provided a fun-filled opportunity for residents to get together with friends and family to enjoy local food and entertainment. On behalf of Halton Regional Council I would like to recognize and thank the three organizing committees (Georgetown Agricultural Society , Acton Agricultural Society and the Halton Agricultural Society ) for once again hosting these events for the community. A great deal of planning and coordination is required to successfully pull off events of this size. I would like to congratulate all of the organizers, sponsors, partners and volunteers who dedicated their time and resources to making them possible. The North Halton Fall Fairs are a great opportunity to unite the residents in the area by bringing everyone together to celebrate an essential part of Halton’s heritage and identity. These fairs also showcase the rich history of our agricultural industry and demonstrate the vitality of Halton’s agricultural community. Regional Council is committed to protecting the agricultural lands in Halton and supporting practices that ensure the sustainability of this industry for the future. The Halton Agricultural Advisory Committee continues to advise and assist the Region in our effort to develop and maintain a secure and economically viable agricultural industry as an important component of Halton’s economic base. The Region also continues to actively support the relationship between Halton residents and Halton farms to help encourage healthy eating, environmental sustainability and physical activity. Many of the residents who attended the Fall Fairs operate their own farms or work in the agricultural industry in North Halton. I would like to thank them all for the hard work they do each day. Together we can ensure that your efforts continue to positively impact the community making Halton Region a great place to live, work, raise a family and retire.